Updated Monday April 15, 2019 by Wally Haddick. 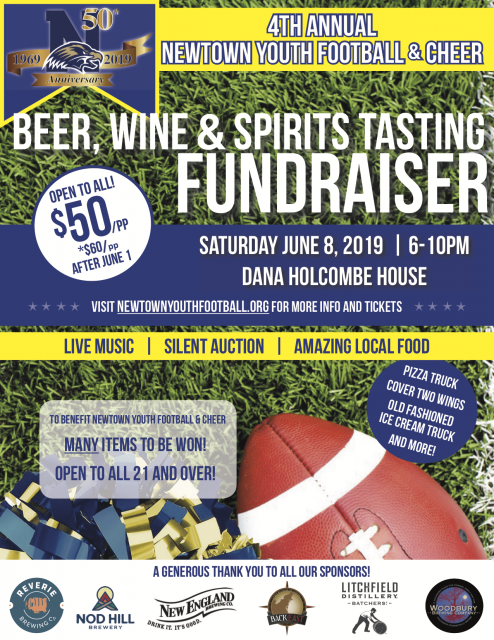 NYFC is hosting their 4th Annual Beer & Wine Tasting Fundraiser at The Dana-Holcombe House. Newtown’s newest Brewery Reverie Brewing Co. It was a blast last year, and will be even better this year! Purchase tickets now by clicking the " BUY NOW" button below!